I see and think of ‘the flow’; the flow of land and water, the form of things. I love to contemplate these things. Mirei Shigemori is an inspiration and his design philosophy of the Japanese garden is a strong influence in this notion of flow. The bricks are recycled from Takamasa Kuniyasu’s installation from the Australian Sculpture Triennial at the National Gallery of Victoria in 1990. I love a brick and in quietly stacking and placing the bricks I find a calm space. I have got to know and recognise certain bricks, their colour, their curve. The minute differences in length depending on their colour. Concentric form, corbelling, stacking, structure, gravity, interlocking, interdependence. Onyx – translucent, light and seductive. Marble – pure and soft. Granite – immutable and tough. Bricks – hand made, hand laid. Here is a brief artists statement for the exhibition. With these works Stoner refers to the material of rock and stone as a storyteller of history, location and time. The stone is simultaneously prehistoric and of the moment. 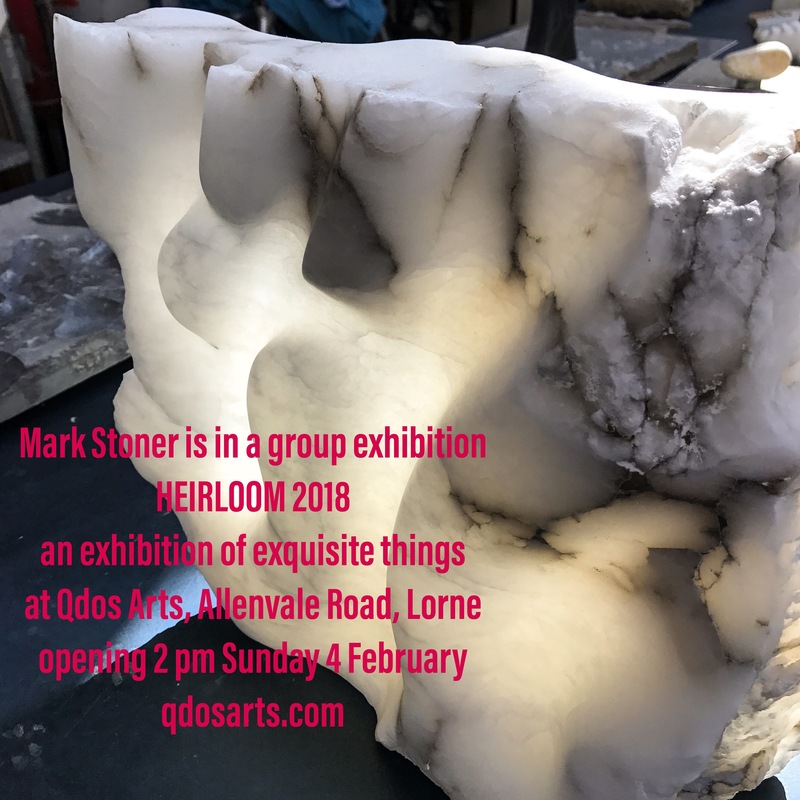 There are multiple stories present: a geomorphology comprising its age, its mineral composition, its formation; and then, its physical location, its quarrying, transport, cutting, commodification, resale, transport, carving, transport and now exhibiting. Stoner illustrates his preoccupation with the detail of the colour, the layering and texture, and of the contrast between, ‘as found’ and the highly worked and polished surface that reveals the internal richness. The deliberate holes, cutting and chipping illustrate this by delving into the interior of the stone. 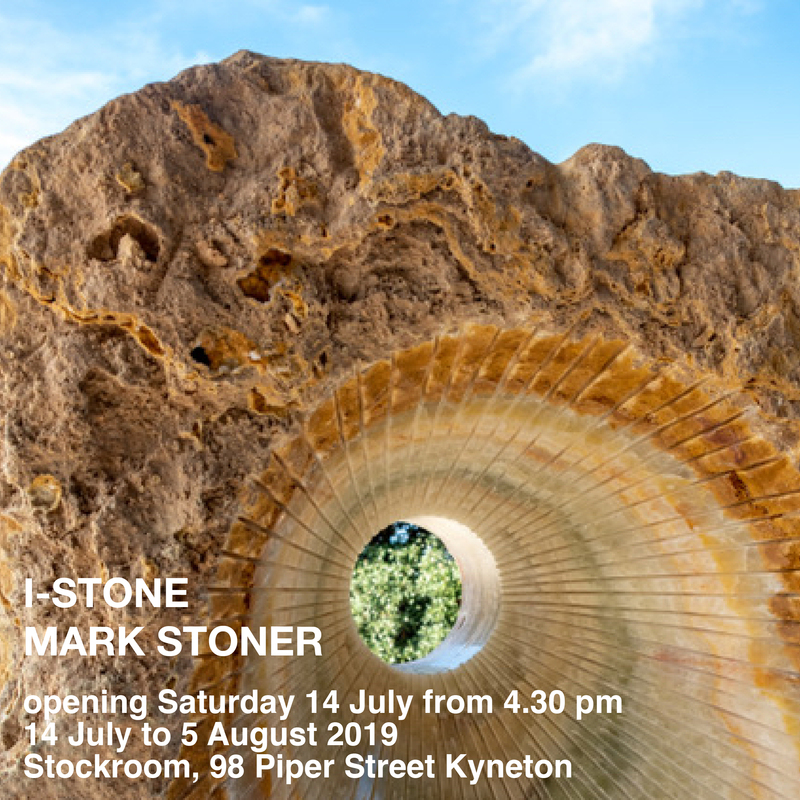 Finally as a viewer we can now look at these stones and experience an imagined intervention and an actual intervention where the transformation of the stone takes us deeper into the material and yet further away from its reality.